UnrealEngine - Blender OK! further known as UEBok! 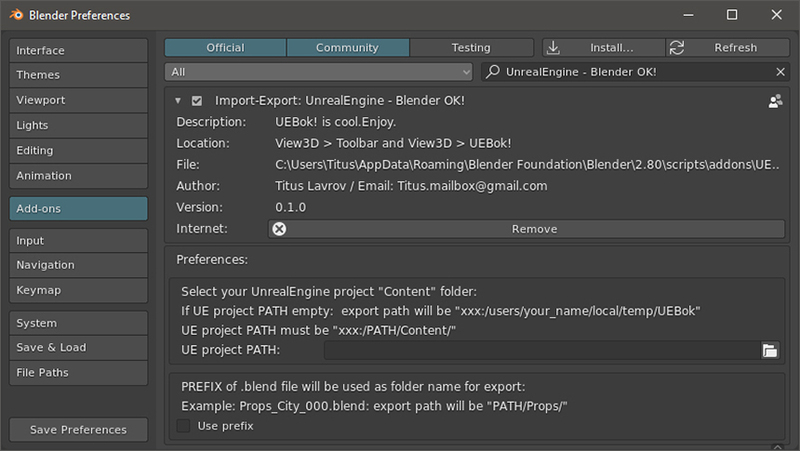 an Blender 2.8 Addon. User preferences > Add-ons > Install from file…> select UEBok!.ZIP file.